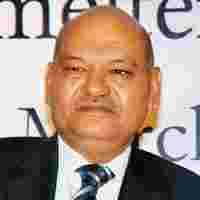 Mumbai: Pressure from investors and the consequent fall of its shares have forced Anil Agarwal’s Vedanta Resources Plc. to abandon Wednesday a restructuring plan that was announced on 9 September. “In view of the recent changes in global financial markets and investor feedback, Vedanta decided not to pursue the proposed group restructuring," the company said in a statement. “No one was in a mood...there was no point in going ahead with this," Reuters quoted Agarwal as saying in a television interview. In India, investors in Vedanta subsidiary Sterlite Industries India Ltd sold shares following the announcement of the restructuring. Shares of the company lost almost one-fourth of their value in two weeks. The restructuring, had it gone through, would have effectively reduced the holdings of Sterlite’s minority shareholders in the company’s Indian assets in exchange for stakes in Vedanta’s copper mine in Zambia. Wednesday’s announcement reversed the tide and shares of Sterlite gained 8.36% to close at Rs487.55 each after touching Rs517.70 in intra-day trades. The shares had lost 27.7% between 9 September and 23 September. Institutional shareholders were also opposed to the restructuring and The Economic Times reported on 23 September that Chris Hohn, founder and managing partner of The Children’s Investment Fund Management (UK), which holds more than 1% stake in Vedanta Resources, was against the move. Vedanta’s proposed multi-step restructuring, to be effective April 2009, involved the forming of three commodity-focused entities: copper, zinc and lead; aluminium and energy; and iron ore. It meant demerging Sterlite Industries’ equity interests in group companies Bharat Aluminium Co. Ltd, or Balco, Vedanta Aluminium Ltd and Sterlite Energy Ltd, and transferring these to Madras Aluminium Co. Ltd, or Malco, which was to be renamed later as Sterlite Aluminium Ltd. Malco’s holding in Sterlite Industries was to be transferred to the new firm, Sterlite Aluminium, while Vedanta’s holding in Zambia-based Konkola Copper Mines Plc. was to be transferred to Sterlite Industries. Finally, Vedanta Resources’ stake in Malco was to be transferred to Vedanta Aluminium. Agarwal aims to be among the top 5 aluminium producers in the world by 2012. His plan to expand aluminium capacities to 2.6 million tonne (mt) per annum from 1mt, at an investment of $9.7 billion, requires significant participation from financial markets. “The shares of the group companies, including Sesa Goa, were hammered, and this rattled the management. This could have had repercussions on the ongoing $2.6 billion Asarco acquisition, where Agarwal is fending off a challenge posed by Grupo Mexico," said Niraj Shah, senior analyst at Centrum Broking Pvt. Ltd.
Mint’s Mark To Market column said on 10 September that minority shareholding in Sterlite Industries after the restructuring would drop to 27% from 37.53%; in Hindustan Zinc to 17.52% from 24.36%; and in Vedanta Aluminium to 5.15% from 11.07%. Vedanta, which says it will consider going ahead with attempts to “simplify" the structure of the group at a more conducive time, has all along maintained that the restructuring is neutral to all shareholders. This is the second time investor activism has put paid to Agarwal’s efforts to restructure his group. Earlier, in 2002, a plan to buy back shares in Sterlite Industries from minority holders had to be scrapped after some shareholders decided to contest the scheme where the company sent cheques to shareholders for the value of shares. Only some shareholders deposited the cheques in banks, indicating their acceptance of the offer. Harish H.V., partner, Specialist Advisory Services, Grant Thornton, which independently valued the operating companies of Sterlite Industries said: “We were mandated to give the valuation of operating companies. The buck stopped there." “The share exchange ratio was aligned in favour of the promoter than shareholders," said an executive director with a domestic brokerage, who asked not to be named because he is not authorized to speak with the media. “Both foreign and domestic institutions did take (the restructuring plan) with a pinch of salt and so the valuation of the operating companies have gone down."